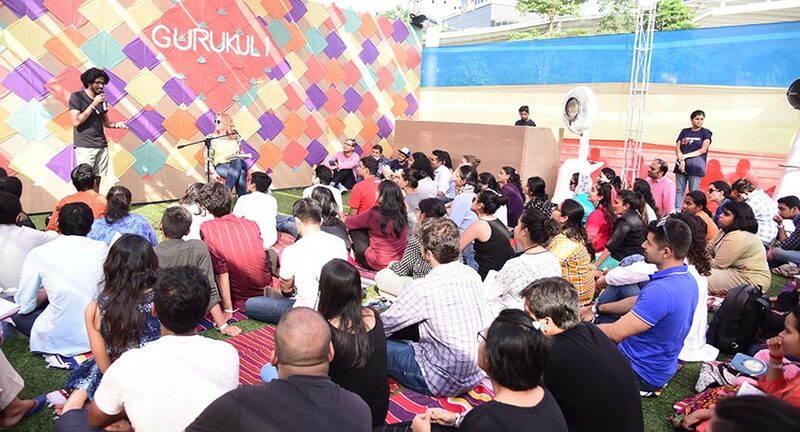 The first edition of Spoken, a celebration of words, voices and stories concluded on Sunday evening under the stars at JioGarden, in BKC, Mumbai. 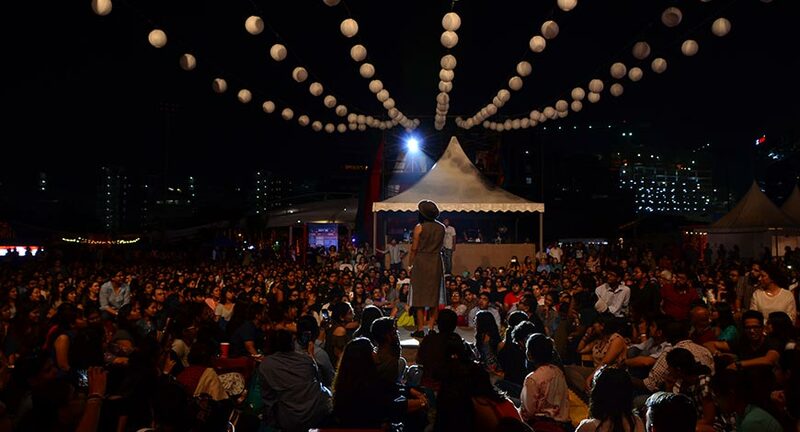 Around 6,000 people gathered for the two-day festival to ‘tune in’ and listen to poets, spoken word artists, storytellers and songwriters from a variety of genres and in languages as varied as English, Hindi, Urdu, Kannada and Gujurati. In the afternoon, guests sauntered from stage to stage, witnessing a variety of verse from U.K.’s zany theatre troupe ‘The Handlebards’ performing a madcap version of Shakespeare’s ‘As You Like It’ to some of the newer voices in the burdgeoning poetry scene to musical busking from the soulful Ankur Tewari, Easy Wanderlings & Alif among others. Storytelling masters such as U.S. Grand slam winner of the The Moth, Margot Leitman shared tips and tricks on performing one’s personal narrative while Kommune’s Shamir Reuben and Airplane Poetry’s Shantanu Anand hosted masterclass on spoken word, to overflowing crowds. As the sun set, headlining acts kept the crowd’s rapt attention on the center stage such artists as the legendary and prolific, Piyush Mishra, to the folk-rock genius Raghu Dixit, ace lyricist, singer, music composer, playwright, theatre director and screenwriter Swanand Kirkire, the witty and entertaining Tanmay Bhat and the king of comedic emotional anecdote, Zakir Khan. International performers such as the Grammy nominated, world-renowned storyteller, Diane Ferlatte brought ancient folk tales to life through call and response while 2017 World Beatbox Battle Grand Champion, Saro enthralled crowds with his loop station skills. One of the festival highlights was a performance by the versatile Kalki Koechlin, who wrote, rehearsed and performed a theatrical spoken word piece, just for the occasion. With their inimitable energy and enthusiasm, grand hosts Roshan Abbas and Gaurav Kapur brought the crowds on a journey to discover the power of story and voice.